Our office has had many notable victories over the years. This has been the result of vigorous and zealous representation of our clients. 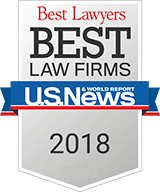 In order to obtain the best possible result, we often work with other attorneys and law firms as co-counsel at no extra cost to our clients to obtain the best possible result. We are very proud to report that over the years our firm have achieved over $200 Million in settlements and verdicts on behalf of our clients. $16 Million damages verdict received for a Brooklyn resident who sustained a traumatic brain injury in a motorcycle accident. Following the accident, the client was recovering at a hospital, when a security guard committed a battery against him when he pushed his head into a wall and threw him onto a bed. The jury awarded damages in the amount of $14 Million against the owner and operator of the motor vehicle involved in the initial accident. The jury also awarded $2 Million in damages against the hospital and its security guard. This verdict was obtained after defeating a motion for summary judgment and a subsequent appeal by the hospital wherein it denied that the battery occurred and denied that any further injury was sustained by the client while he was in its care. The jury found that the plaintiff was partially at-fault for the occurrence of the motorcycle accident, reducing the total award to $10 Million. $10 Million settlement in a truck accident resolved pursuant to a confidential agreement. $9.165 Million for a 26 year old construction worker injured in an explosion of a New York City Department of Environmental Protection manhole cover resulting in severe fractures to his legs and requiring numerous operations. We sued numerous entities who we felt were responsible for this explosion and our office was opposed by 12 law firms. 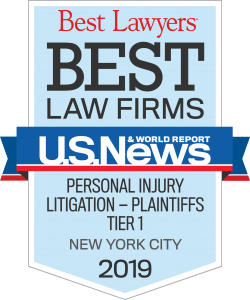 This case involved complicated liability and damages issues and in order to establish liability and maximize our clients' recovery, we retained 6 of the top experts in the fields of science, construction safety, medicine, vocational rehabilitation, and economics. In order to leave no stone unturned, we conducted over 20 depositions of the defendants. This is believed to be the highest reported recovery for personal injuries by a victim of a manhole explosion in the United States. In the end, we successfully established liability on a majority of the defendants resulting in this settlement, part of which was structured, and is expected to yield the injured worker and his wife a payout of approximately $20 million dollars. Despite the extraordinary complexity of this case, we were able to resolve the case in 3 years. $6.9 Million award for a financial executive tragically killed during the September 11, 2001 World Trade Center attack. This is one of the highest arbitration awards amongst the almost 3,000 claims filed. $5 Million in a precedent-setting case on behalf of the family of a 43 year old construction worker who fell from a ladder at a job-site, resulting in serious injuries which prevented him from returning to work. After taking pain medication for approximately 2 years, the worker died from the effects of the medication prescribed for his injuries. Despite the passage of time between the accident and his death, we successfully demonstrated the causal connection, resulting in this settlement. $3.5 Million in a premises liability case resolved pursuant to a confidential agreement. $3.275 Million settlement on behalf of a plaintiff who suffered a severe stroke after her doctors failed to properly treat bacterial endocarditis. $2.95 Million on behalf of the family of a Brooklyn woman who died as a result of the injuries she sustained in a fire in her apartment. This case was resolved after we demonstrated that the landlord’s unresolved Building Code violations, including for failure to provide smoke detectors and for failure to provide a functioning front door lock, prevented the decedent from quickly exiting the apartment during the fire before sustaining her critical injuries. $2.95 Million on behalf of a husband and wife who were injured when their vehicle was struck from behind by a bakery van. The case settled at the end of the liability portion of the trial. Although the defendants argued that their vehicle lost control because of a rain storm and that the plaintiff caused or contributed to the accident, we were able to prove that the defendants were responsible for the accident. $2.95 Million on behalf of a 36 year old electrician who fell off of a ladder while installing electrical conduits and sustained severe ankle injuries requiring numerous operations. This case was resolved after we obtained summary judgment under the Labor Law and established that the defendants were fully liable for our client's injuries. $2.9 Million on behalf of a construction worker who received serious knee and back injuries while performing construction renovations at the Museum of Modern Art. Although the defendants argued that the plastic sheeting which caused our client to fall was an "open and obvious condition", we retained an expert in construction safety who assisted us in establishing the defendants' liability. $2.9 Million on behalf of an operating engineer, who had a slip and fall accident at a construction site, resulting in serious spinal injuries requiring surgery. $2.75 Million on behalf of a Long Island Teamster, who was driving to work, when his vehicle was struck in the rear, causing the plaintiff to become paralyzed. This case was resolved in 14 months as we quickly moved for summary judgment establishing the defendant's liability and settled the case for the entire amount of insurance coverage available. This recovery was the highest settlement for a rear-end motor vehicle accident in New York in 2013. $2.5 Million on behalf of a construction worker who fell approximately 12 feet from an elevated platform which was unsecured resulting in serious injuries to both of his feet. Although the defendants claimed that the plaintiff constructed the platform and that the incident was his fault, we were able to disprove their claims resulting in this recovery. $2.3 Million on behalf of a mother and daughter from Staten Island who were viciously attacked by two Cane Corso dogs. The case resolved after we obtained a judgment as a matter of law that the dog’s owner was liable for the attack. We were also able to overcome a disclaimer of coverage by one of the defendant’s insurance companies to maximize the recovery by the plaintiffs. $1.75 Million on behalf of a 40 year old single mother who received serious facial and orthopedic injuries from a head-on collision with a drunken driver in Connecticut. This is a case where two of our attorneys were admitted into Connecticut Federal Court so that we could personally ensure that our client received the maximum recovery and we were able to resolve this case for the full insurance policy limits in a little more than one year. $1.6 Million settlement in a medical malpractice case resolved pursuant to a confidential agreement. $1.5 Million settlement under the Jones Act in a Maritime law case for a chef who tripped and fell on a ship receiving lower back injuries and post-traumatic stress. This settlement came after a jury verdict in excess of $2.5 Million. $1.5 Million on behalf of a man who sustained injuries to his lower back and arm in a one car collision. $1.4 Million on behalf of a 37 year old Staten Island construction worker who slipped on gravel at a construction site, resulting in the need for arthroscopic knee surgery. $1.4 Million on behalf of a client who was struck by a vehicle while crossing the street, causing her to sustain serious injuries to her pelvis and lower back. $1.3 Million on behalf of three (3) Czechoslovakian immigrants, two (2) of whom were visiting New York for the first time, in a motor vehicle accident which occurred on Thanksgiving Day. $1.25 Million on behalf of a Staten Island man in a confidential settlement. $1 Million settlement in a construction accident case resolved pursuant to a confidential agreement. $1 Million on behalf of a 44 year old Brooklyn man who received spinal injuries in a motor vehicle accident. We were able to obtain this settlement even though our client had a prior motor vehicle accident in which he sustained serious neck and back injuries and establish that those injuries were significantly aggravated by the second accident. $1 Million on behalf of a 61 year old Brooklyn dairy worker who sustained a multiple skull fractures and a traumatic brain injury when he slipped and fell into a hole at his work site which had been excavated by a construction company performing work to reinforce the roof of the building. Our office was able to obtain this settlement which represented the full amount of available insurance coverage. $975,000 settlement on behalf of the family of a Staten Island Woman who died as a result of her undergoing surgery without the appropriate Pre-operative clearance. $975,000 on behalf of a 51 year old man from New Jersey who received serious injuries to his right foot and ankle when he was struck by a New York City Department of Sanitation truck while he was in the process of unloading a copier machine in downtown New York City. This case was settled after a jury had been selected and we were able to obtain this substantial recovery despite the defendants' claims that our client's truck was parked illegally at the intersection and that he was responsible for the accident. $900,000 on behalf of a 46 year old woman who significantly aggravated a prior injury to her lower back and required surgery when her vehicle was struck in the rear by a rented car. This case was settled prior to the damages phase portion of the trial after a jury rendered a liability verdict in her favor. $900,000 on behalf of a 59 year old employee of a septic company who was injured when a trench he was working in collapsed. In opposing the defendants motion to dismiss the case we established that the trench our client was working in was dangerous as it was not sloped properly and no protection was given to the injured worker. $875,000 settlement on behalf of the family of a Staten Island Woman who died as a result of her doctors’ failure to diagnose her mesenteric ischemia. $875,000 on behalf of a 40 year old employee of a moving company who had a heavy pallet of electrical wire dropped on his foot by another worker. Although this accident did not result in any broken bones to the victim's foot, we established that the incident resulted in complex regional pain syndrome to the foot causing our, client to become disabled. This case was settled after we successfully defeated the defendants' motion to dismiss the case and after a jury had been selected. $850,000 on behalf of a construction worker, who was injured when the stairway that was being removed as part of the project in upstate New York collapsed, causing him to fall from an elevated height and sustain numerous fractures to his leg. $850,000 on behalf of an undercover New York City Police Officer who claimed his civil rights were violated after being assaulted, under a case of mistaken identity, by other law enforcement officers. $850,000 on behalf of a 49 year old woman who fractured her arm and experienced symptoms of complex regional pain syndrome after falling on ice in the roadway in front of her house. $800,000 for the family of a 53 year old billboard worker who died instantly after falling from a catwalk. Although the defendants argued that the victim's family should be entitled to no more than Workers' Compensation Benefits, we successfully argued that his actions were covered under the New York State Labor Laws. $750,000 for a New Jersey construction worker who was forced to stand on a school table to cut pipes at an elevated height at a Department of Education construction project due to the unavailability of adequate equipment at the site, causing the worker to undergo bilateral shoulder surgeries. $740,000 on behalf of a New York City jewelry store employee who was injured when her foot went through an unsecured drain cover in a shopping area causing her to undergo three (3) surgeries to her injured knee. $700,000 on behalf of a 50 year old construction worker who was injured when a hoist dropped on his foot without warning, resulting in the loss of his large toe. Although the building owner and general contractor claimed that the hoist was not defective based upon an OSHA inspection, our expert demonstrated that the defendants did not comply with construction industry standards. 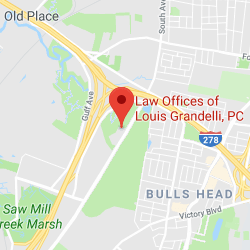 $650,000 on behalf of a Staten Island man who sustained injuries in a motor vehicle accident when the defendants vehicle made a left turn in front of him. $650,000 on behalf of a woman who was being transported to the hospital in an ambulance for an allergic condition, when the ambulance was struck by another vehicle, causing her to sustain multiple fractured ribs and a loss of her spleen. $650,000 on behalf of a Long Island woman who sustained a serious shoulder injury requiring two surgeries when she tripped and fell over a cracked and broken section of sidewalk abutting a Con Edison vault cover on her way home from work. $625,000 for a local construction worker who received serious ankle injuries requiring surgery after falling off of a ladder at a construction site in upstate New York. $625,000 obtained on behalf of a 53 year old Dutchess County resident who was injured while unloading granite out of a container on a tractor-trailer. This settlement came after our office overcame two motions to dismiss the case and while and appeal was pending. $600,000 settlement in a truck accident resolved pursuant to a confidential agreement. $580,000 on behalf of a Bronx woman who sustained serious facial and orthopedic injuries while a passenger in a two-car collision. $500,000 on behalf of a Sanitation worker who sustained a lower back injury when the New York City Department of Sanitation vehicle he was operating lost it's brakes and struck another vehicle and then a pole. 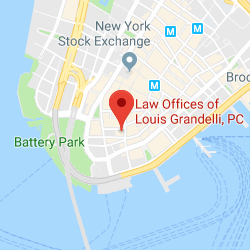 $500,000 for a 33 year old woman claiming shoulder and spinal injuries in a car accident with a New York City Police Department vehicle. This case was settled with the City of New York after we obtained summary judgment and a determination of liability in our client's favor. $500,000 for a 61 year old construction worker who sustained a herniated disc to his lower back and a fractured foot after falling off of a truck while unloading steel pipes. This settlement came after the first portion of the trial resulted in a liability verdict in the plaintiff's favor. $500,000 obtained for the family of a 38 year old Staten Island man who was killed when his motorcycle was struck by a car. This settlement was reached by securing the entire amount of insurance coverage available and obtaining a significant contribution from the defendant personally.